If you plan to share a file, especially a large one, with someone over the Internet for a limited time and want it to be a secure share, then Firefox Send is your answer. This experimental application is designed as open source with its code hosted on GitHub. Firefox Send allows users to upload files (word, pdf, spreadsheets, movies etc) up to the size of 1GB. The files are then encrypted and the link is sent to the end recipient. Who have 24 hours to download before the file disappears. If the file has been downloaded, the file will be destroyed automatically. 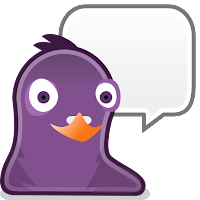 The following is a list of essential Linux applications that any desktop must have. Many of these applications are in the open source domain and are definitely all free. They can be obtained easily online and installed on your system. In fact, quite a few of them might come as standard applications when you install your new Linux desktop. There are literally thousands of other products out there, but the following are some of my favorite. This comes pre-installed with almost all Linux distribution. It is now an extremely popular browser and is slowing gaining strength as compared to Microsoft Internet Explorer. One of the advantages of Firefox is the addons available for the browser by Mozilla community. There are literally thousands of such little plugins that make Firefox extremely popular and productive. We a lso recommend that users should try out Opera. This browser has many cool features which have made their way into Google’s Chrome (Speed Dial among others). A lot of users out there still prefer to pop their emails to their desktop. Evolution is one such application that is very easy to use and in fact, is eerily similar to Microsoft Outlook. It includes the usual features like reading your Mail, Calendar, Address book, To Do list, Sharing of Vcards etc. An extremely light and popular email client and a great companion for your Firefox browser. 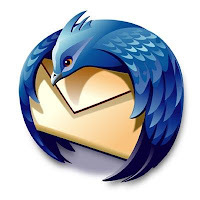 It is reminiscent of Netscape email client and has many great improvements including a addons/ plugins, spam filtering, tagging of messages among others. This software application is probably one of the best IM clients availabe in the opensource world. It supports almost all major messengers including, MSN, Yahoo IM, Google Talk, AOL, ICQ, MySpaceIM through one common interface. Many Linux distributions provide it as a standard install. Skype is not yet supported through Pidgin. However, Skype itself offers a Linux version which can be downloaded from their website. The software has all popular features (audio & video chat, webcam support, chat etc) like its Windows equivalent. This is a great Office Product in the open source domain. It not only imports all MS-Word/ Excel/ Powerpoint documents but is even able to read their new docX extensions. It is highly configurable and you can even set it up so that it can by save files automatically in any format including MS-Word. Open office contains a suite of applications including word, spreadsheet, presentation, database, drawing and mathematics formula. The first three are quite popular with typical Ms-Office users. Database is a small database software quite similar to MS-Access for organizations to quickly build desktop based databases for their everyday use. Drawing will attract those who want to quickly sketch something without needing to buy expensive MS-Visio or equivalent. Math is the final application in the suite that lets users create and manipulate mathematical equations. Checkout the plugins on the website to further customize the software suite. It is most likely to come pre-installed with your Linux distribution. Inspired by iTunes, it is one of the best music management application that I have come across on Linux platform. It will let you organize, play, rip, and burn audio CDs; import music from any device including USB and even supports internet radio. 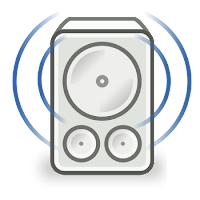 Another important feature standard with Rhythmbox is that each time you start this application, it scans your specified directories to find music and updates your music library accordingly. Thus freeing me from specifically importing each music file into my library. We all want to watch our favorite movie on our computer or hook it up through S-video to our TV. Totem Movie Player is the right tool for you. VLC media player, as mentioned on its website, is a highly portable multimedia player for almost all popular audio and video formats. It also supports DVDs, VCDs, and various streaming protocols. There are a bunch of open source applications for photo management, but I prefer my Picasa. Picasa allows its users to seamlessly upload all their desktop albums onto Picasaweb and share with friends. The web albums also support a cool new face recognition feature. Picasa for Linux currently does not support videos and maybe not standard with your distribution. Firestarter is probably the easiest firewall configuration tool that I have found on Linux platform. It works well for desktops as well as servers and it will take you less than 5 minutes to configure it and get the basic services going. Since it is based on iptables, it is probably the most powerful desktop firewall available in the opensource world. Chances are that your Linux distribution might have iptables installed as default but not Firestarter. Therefore, you can download it from their website and follow the online guide to configure it. For all those MS-Money or Quicken fans out there, here is an open source implementation of the money management application. It has all the great features of any major accounting package (for home as well as small business). A must have addition. Tomboy is a simple desktop note-taking application designed for Linux. Since Google notes is shutting down, this is an ideal tool to use for quick notes. At times, there is a need to run applications that are not native to linux. Say, a utility that was designed for MS-Windows but not yet ported for Linux. Wine is a translation layer and a program loader capable of running Windows applications on Linux. Windows programs running in Wine act as native programs would, running without the performance or memory usage penalties of an emulator, with a similar look and feel to other applications on your desktop. It too might come standard with some distributions of Linux.